Chicago-based middle-market investment bank Jordan Knauff & Company (JKC) is pleased to announce that Midwest Pioneer, Inc. d/b/a Pioneer Packaging (Pioneer Packaging or the Company) of Naperville, Illinois, has been acquired by PAX Holdings, LLC, a portfolio company of Milwaukee, Wisconsin-based PS Capital Partners, LLC and GreyRock Capital Group. Pioneer Packaging will join the acquirer’s Cardinal Packaging division, a provider of specialty packaging products and services. JKC served as exclusive financial advisor to Pioneer Packaging in this transaction. 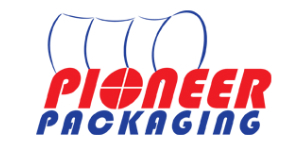 Pioneer Packaging is a full-service packaging supply chain solution offering high quality, innovative, and customized packaging to customers in the food, moving and storage, medical, and consumer products markets. The Company serves a critical role in the supply chain of its customers through its sophisticated and transparent technology platform that provides online ordering and inventory management systems combined with a customized delivery program. Many small and mid-sized firms take advantage of the Company’s integrated, just-in-time services which allows them to focus on their product while Pioneer Packaging functions as their design and procurement department. Mr. William R. Snow, Managing Director at JKC, said, “The transaction achieved Pioneer Packaging’s definition of a successful outcome: one owner was able to retire and the other owner accepted an executive position with the acquirer. We are delighted that a great company found a new strategic owner.” For further details on the transaction, please contact Mr. Snow at 312-254-5904 or wsnow@jordanknauff.com. When the ownership of a middle-market enterprise is considering a sale, JKC can assist them in achieving a successful outcome. The firm has had notable success in sale transactions and has been recognized with a number of awards for its work, including the 2015 Boutique Mergers & Acquisitions Advisory Firm of the Year in the U.S. (for the second consecutive year) by ACQ (Acquisition Finance) Magazine, the 2013 Deal of the Year in the U.S. ($75 million to $100 million category) by The Mergers & Acquisitions Advisor, and the 2013 Energy Services & Manufacturing Deal of the Year in the U.S. by The Mergers & Acquisitions Atlas Awards. Co-founder and Managing Principal, Mr. G. Cook Jordan, Jr., has over 28 years of private equity and investment banking experience, and seven years of executive and operations experience in middle-market companies. JKC’s entire professional team have spent their careers in the middle-market and offer that expertise and knowledge to their clients. It is their mission to provide the best transaction advisory support services along with in-depth industry research to middle-market companies and the entrepreneurs who lead them. To learn more about Jordan Knauff & Company, please visit www.jordanknauff.com or contact Mr. Jordan at cj@jordanknauff.com or 312-254-5901. Jordan Knauff & Company is a member of FINRA. With an “invest, build, and hold” strategy, PS Capital Partners, LLC seeks investments in manufacturing and processing businesses in the upper Midwest with annual revenues of $10 million to $50 million. Mr. Paul Stewart and Mr. Paul Sweeney founded PS Capital Partners in 2001 with the belief that this segment of the market is generally underserved by private equity investors and that it aligns best with their approach to investing. Supporting their approach is a stable of loyal investors, comprising the PS Capital Partners’ Investor Network, who understand and share their vision for long term investment.